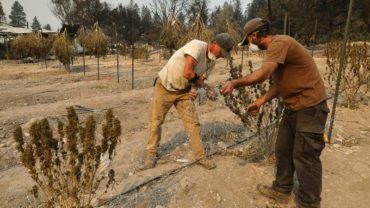 Weed has long been viewed as a working-class habit, with marijuana use often blamed for making the poor, poorer. But the truth is that the wealthy are buying luxury cannabis products, like pre-rolled joints that include gold leaf, and are lining up for more. According to a recent article in Forbes magazine, there’s a luxury marketplace for marijuana connoisseurs with money to, well, burn. 84% of these cannabis consumers are employed full-time and 65% have a household income of $75,000 or more. These consumers are willing to spend up to $3,000 for a joint, and hundreds for monthly luxury subscription boxes. The 3k joint was recently sold at the new Diego Pellicer store in Seattle. According to Alex Cantos, the Chief Operating Officer, “A lot of work goes into rolling this product to keep it together, so it doesn’t fall apart.” The cigar had 28 grams of flower and seven grams of oil, taking six weeks to cure. Closer to Sonoma County, The Au Box – a monthly subscription box of high-end marijuana exclusively for SF consumers – is available. The Au Box contains goodies such as 24 karat gold rolling papers and THC-infused handcrafted marshmallows. A one-month trial is $150, dropping to $135 for three months or $120 for six months. This luxe box is the brainchild of Jessica VerSteeg, a former Miss Iowa and Amazing Race competitor. For those who have more cash they’d like to spend, ClubM is a company that offers even more expensive boxes, such as the M1K , sells for $1,000. It’s only available to ClubM members, and contains flower, edibles, vapes and other cannabis related accessories. Of course, membership is invitation only, and costs $97 a month. If you still have cash to spend, you can upgrade to the M2Box for $2,000. No matter how extravagant these boxes may be, rap artist Nipsey Hussle takes luxury weed a step further with his 100 percent smokable gold chain, created by professional joint roller Tony Greenhand. 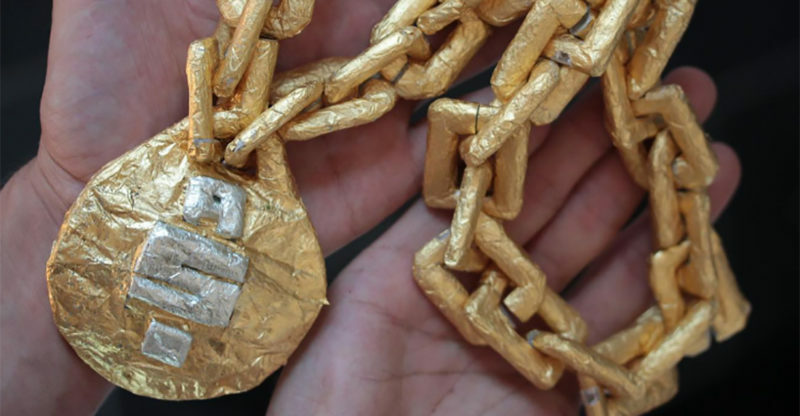 An article on hiphopdx.com states that the papers alone cost $300, and the pendant is loaded with $3,000 worth of marijuana. While not the most expensive joint ever rolled, it’s certainly the most stylish.